Can I exile copies of permanents using Karn Liberated? As you might have seen, i based the list on the Commanders Quarters Decklist https://www.youtube.com/watch?v=LFrg_P5fwUs&t=14s with some additional cuts for lower budget. Jumbo Commander https://www.youtube.com/watch?v=kWzlgMdTrGw has also made a video on Vaevictis. If you are looking for dragon tribal, Karrthus, Tyrant of Jund will be a better choice. For Jund in general, Prossh, Skyraider of Kher will be usually the strongest choice. If you want to make Vaevictis work well, you will need a strong ramp and removal package for your deck. 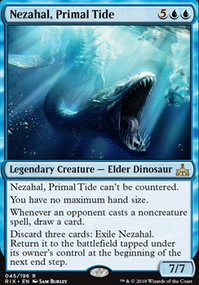 To actually use the triggered ability of your commander, it appears that filling your graveyard with Greater Good and lots of dredge cards to then put cards on top of your library should be the most reliable way. For the weknesses of my Vaevictis deck : it is extremely centered around the commander. Therefore, I got crushed by some spotremoval and Unsummon effects and was unable to ever build a reliable board. Good luck with building him, but I simply gave up. I'll just add an additional resource for you here : MTG Muddstah https://www.youtube.com/channel/UCG8Yi6I_XYjYtvFgOleqYxg is a channel for EDH gameplay and the players usually run well tuned decks. 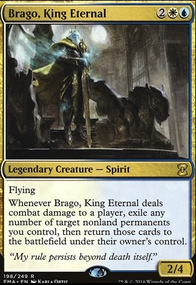 1) I think Shu-Yun is an interesting choice for a budget commander because he relies on killing opponents quickly, but with budget decks, you're going to be winning much later in the game. He's also interesting because he focuses on quick combat instead of really building up a boardstate. I think the first thing to do would be to abolish the idea of a turn 4-6 win, decks like ours are going to try and grind out the game with cheap removal and synergy, waiting for the right time to strike. Maybe the problem is that the deck wants to win too fast and the budget can't compensate for that, just my idea. 2)You should probably cut the uncommons, things like Invert/Invent, Jace's Ingenuity , Rush of Blood (even though this card is super cool and I'm going to put in one of my other decks), Concentrate , Rise from the Tides , Butcher's Cleaver , Hero's Blade , Inquisitor's Flail , Vessel of Endless Rest , Illusory Ambusher , Smelt-Ward Minotaur , and Whirler Rogue . While these cards are awesome in the deck, they're a huge deficit to your budget and cutting them is 12 less cards. I've found that with a budget like this, it's best to cut to $0.15 commons. Will it be as fast? No. Will it be $10 or under? Yes. 3)Have you considered building from the bottom up? Instead of adjusting my previous commanders, I usually just pull out a fresh sheet of paper and start from there. I feel that it opens up more gateways for deckbuilding and instead of having to cut expensive cards, you can decide which cards to add one at a time. Cutting is also just kind of negative and personally I feel a lot happier seeing: "this card is so sweet for $0.15!" 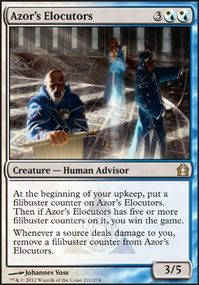 Instead of: "Ugh I can't run this card because it's over budget." This could just be me of course. 4) As for specific cuts, here's what I'd take out(excluding the uncommons I pointed out earlier): Artificer's Epiphany : There are better draw spells out there; Contradict : Again, there are better spells; Depths of Desire : Generally, I dislike bounce, even in Red/Blue but this spell just isn't good, especially when you want to cast Shu Yun on turn 3; Enhanced Awareness : Way too expensive for the effect; Leave in the Dust : From your comments, it seems like you want to win faster, so I would cut these mana-intensive bounce spells so you can run cantrips, also Unsummon is $0.15 on SCG; Prying Eyes : yeah this card is just objectively bad in my opinion, even for a $10 deck; Repulse : Same thing I said before about bounce spells, the card draw isn't worth paying more mana; Scatter Arc : I feel like a lot of the bounce/counterspells are in this deck because they say "Draw a card" paying 2 more mana for a negate that draws you a card is not with it, you could do more with that two extra mana. 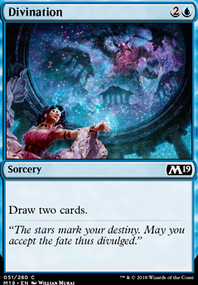 Sweep Away : Yeah this is way too conditional to actually work out; Aether Tunnel : Yes I know you said you wanted to keep this, but playing it makes Shu Yun a huge target and it's budget intensive. 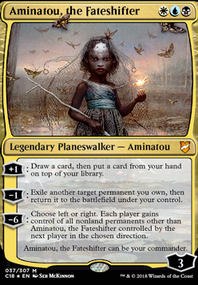 Skygames : This enchantment is okay, but It's definitely not great, especially when compared to your other auras; Highland Lake and Izzet Boilerworks : Yes I know it's important to have mana, but running basics gives you more choices. That's pretty much all I've got for now on cuts. I wish you the best of luck, but I'm about to pass out so goodnight, I hope this made sense! After playing the cancel aspect I decided to toss it entirely as it serves a purpose this deck cant truly really on. As I was playing I really found myself not needing the Wizard's Retort . My Negate served a much better purpose. Yes the cancel came in use sometimes but I felt myself needing better versatility. I've decided to go with the very useful Dive Down and Unsummon in my main board as they are far more versatile and much cheaper cost wise. It really helped the manna curve. I would have really like the Cancel aspect to work but found my side board is more then enough to do what I needed. 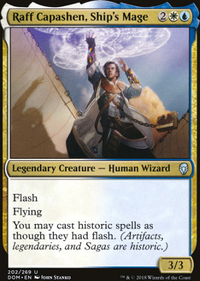 I've considered removing my Repudiate / Replicate and Spell Pierce from the side board to add in Wizard's Retort . Haven't really had the chance to see my Repudiate / Replicate in action yet so removing it will be a matter of just seeing how it could works. Thanks again. Flooremoji, yeah that's not a bad idea at all. I only have Unsummon and Hubris in right now but I would definitely consider putting more in. Do you have any recommendations? Cool deck! Elvish Pioneer is a cool-looking card, but I agree he's hard to work with. Bonus points for trying though, because I've tried to use him in a couple decks before, too. Do you think something like Mutagenic Growth or Slip Through Space would help avoid problem creatures? 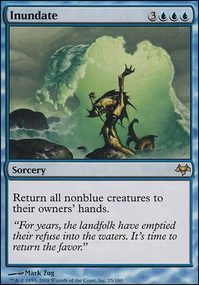 Or maybe a simple Unsummon that could bounce your cheap creatures to be recast, and also work as removal? Gilded Drake : This could be fun, especially if you start bouncing him back to your hand! He is expensive though, so that could be a problem. Consecrated Sphinx : A good card, will draw some hate though (but better they use removal on him and not Isperia). Linvala, Keeper of Silence : Some good control if you run into decks with a lot of this. Sphinx of Magosi : Not the best card, but I personally like it. It's fun to play, and it can give you cards while it gets bigger. Dissipation Field : If your fliers don't discourage people from attacking you this definitely will, especially since they know you can name cards. Unsummon / Remand / Capsize / Cryptic Command /Other bounce spells: The bread and butter of this deck. 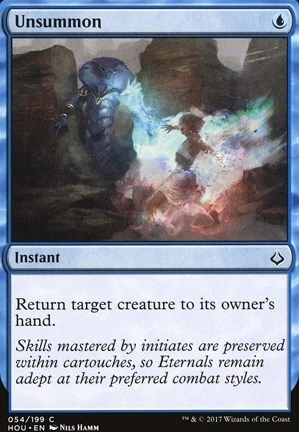 Render Silent / Insidious Will / Last Word / Disallow / Absorb / Mana Drain / Dissolve : Some of my favorite counterspells. Temple of Enlightenment : I think you just accidentally put Temple of Epiphany instead of this one. I hope that this wasn't too overwhelming. If you need any more help just let me know! Darkshadow327 on Which Isperia to Build Around? Well, to me Isperia the Inscrutable seems really fun. 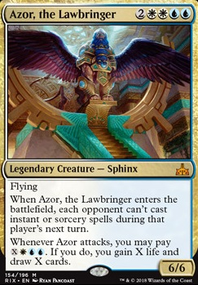 A deck of fliers, hand revealing like Gitaxian Probe bounce spells like Unsummon or Remand so you know what's in their hand . . .
Great, I think I need to build this now. If you decide to go that route and want any help just let me know!